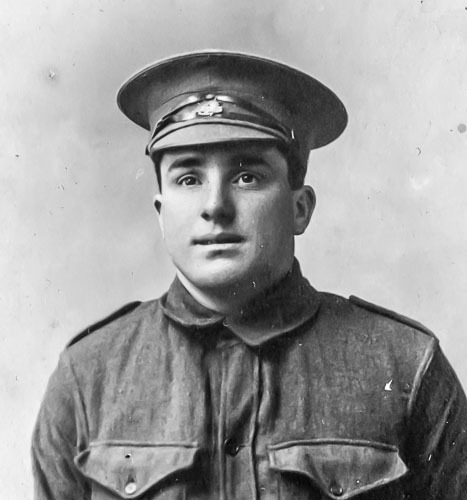 Charles was 23 years old when he enlisted on 8 March 1915 and was appointed to complete basic training at Broadmeadows attached to the 24th Battalion. This unit had been raised in a hurry because of a surplus of recruits at the Broadmeadows training camp and a need to clear a few of them out to make more space. The battalion officially came into existence during the first week of May 1915, and the men sailed on HMAT Euripides on the tenth of that month. The men arrived in Egypt sometime in July, and then spent the next two months catching up on the training they had missed at Broadmeadows. Then, on 28 August, they proceeded to Alexandria, boarded a ship and headed for Gallipoli, arriving there on 6 September. Once having disembarked, the men were ordered to move to Courtney’s Post, one of the furthest advance points on the heights of Anzac Cove. Life at Courtney’s Post had been precarious from the start of the campaign, the Turkish trenches being in very close proximity. The men at the post had already repelled one large attack in May. 24 Battalion was subjected to sniper fire very quickly and the new troops hurriedly learned to duck their heads. Their stay at Courtney’s was to be short, however. Two days later, they were ordered to withdraw, occupy White’s Valley and hold the garrison position at Lone Pine. The position at Lone Pine had been captured by Australian troops on 6 August. On a day when a number of feints were carried out (including the infamous and murderous one at The Nek) to distract the Turks from British reinforcements landing at Suvla Bay, the capture of Lone Pine stood out as a solitary victory – although at a horrendous cost in life and limb. Naturally, the Turks wanted it back, and carried out regular sniping, bombardments and attacks on the position. 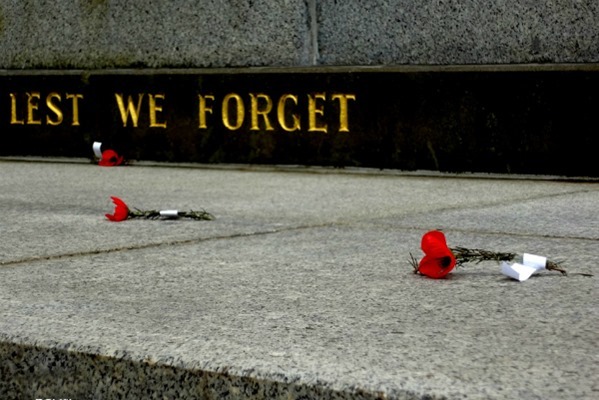 When it took over the garrison along with 23 Battalion, 24 Battalion was subjected to sixteen weeks of fighting that the Australian War Memorial tells us was so dangerous and exhausting that the battalions rotated between the valley and the garrison every day. By 29 September, in addition to a significant number of casualties, the battalion diary indicated that 112 men were sick in hospital, suffering from afflictions such as dysentery. typhus and general debilitation. When October began, the remaining troops were still rotating between White’s Valley and the garrison. Even in the valley, however, they were not safe. On 10 and 11 October, the diary recorded that shrapnel and shells were continually falling on them. The men returned to the garrison on the twelfth and were subjected to continual bombing and sniping, and an enemy advance on one of their positions that was successfully repulsed. The diary indicated that the enemy fire that day was heavier than usual. The battalion spent most of November at Lone Pine with only a week relief at White’s Valley. 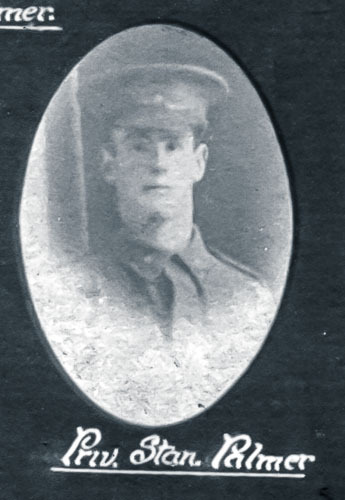 On 29 November the temperature was freezing, lots of shells falling at Lone Pine resulting in heavy causalities for both the 23rd and 24th battalions – totalling over 100 across all ranks – Charles was one of those killed in action on 29 November. Muriel trained at Geelong Hospital and qualified as a Member of the Royal Victorian Trained Nursing Association and, prior to enlisting, was nursing in the Infectious Wards at Geelong Hospital. She enlisted on 26 May 1917 aged 26 and worked at the Caulfield Military Hospital for 2 weeks prior to departure. Muriel embarked from Melbourne aboard RMS Somali on 30 June 1917 to serve in Salonika where she was posted for 19 months until falling ill herself. She arrived home in January 1919 and subsequently was discharged medically unfit on 11 July 1919. Muriel resided in Geelong until her death on 2 October 1974. She is named on the War Service Honour Roll Geelong & District Nurses 1914-19 in the Peace Memorial Foyer and on the Doctors and Nurses Honour Roll 1914-18 at Geelong Hospital. Sydney completed his basic training at Royal Park with the 1st Battalion Reinforcements. During his training he was transferred a couple of times finally being attached to the 57th Battalion, 8th Reinforcements. They embarked from Melbourne on board HMAT Medic on 16 December 1916 arriving in England on 18 February 1917. He joined the 57th Battalion in France on 14 May as they were defending gains made at the Second Battle of Bullecourt. Later in the year, the AIF’s focus of operations switched to the Ypres sector in Belgium. The 57th’s major battle here was at Polygon Wood on 26 September. During the battle on 29 September, Sydney was wounded in action with a gunshot wound to his right eye and jaw. He was invalided back to England returning to Australia on 1 April 1919. Sydney returned to Torquay continuing to work as a trapper. In 1923 he married Elizabeth Drew and they continued to live at Torquay until the mid 1930s when they moved to Queenscliff and Sydney worked as a labourer. He died at Geelong in 1974. After embarking at Melbourne, per HMAT “Afric” on 5th January 1916 and arriving in Egypt on 24th February 1916 Robert was transferred to the 57th Battalion and then into the newly formed 58th Battalion composed predominantly of men from Victoria. 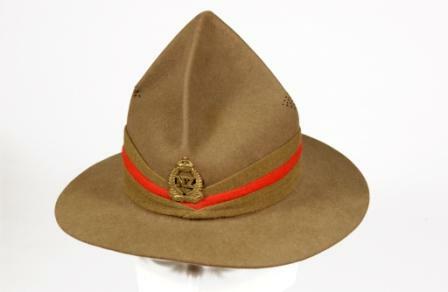 The battalion was part of the 15th Brigade of the 5th Australian Division. Like many Australian soldiers, he began to present with repeated bouts of dysentery that revisited during the war. Also an episode of mumps kept him from re-joining his unit until 17th June 1916 when they left Alexandria for Marseilles arriving a week later. The 58th became embroiled in its first major battle on the Western Front at Fromelles on 19th July. The battle was a disaster. The 58th had the dual role of providing carrying parties and a reserve force. The reserve force (approximately half of the battalion) was ordered to attack late in the battle and was virtually annihilated by machine-gun fire; as a whole, the 58th suffered casualties equal to almost a third of its strength. Robert was one of those casualties with a gunshot wound to his scalp and chest. He was discharged from hospital ten days later to re-join the unit which had continued to man the front in the Fromelles sector. Shortly after returning to the unit his mumps returned causing him to be in and out of hospital for the next 3 months. On New Year’s Eve (1916) Robert was charged, the crime was that “during active service, the conduct was to the prejudice of the good order and military discipline by appearing on parade at 1400, unshaven.” He was awarded 3 days forfeiture of pay. 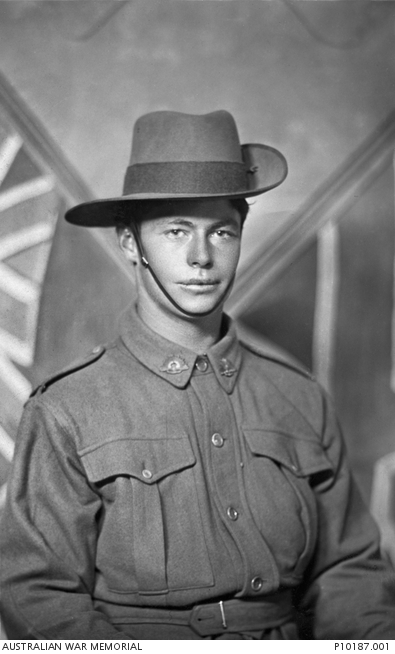 Herbert enlisted on 5 January 1915 at Geelong assigned to the 4th Reinforcements to the 5th Battalion. He embarked for combat from Melbourne on board HMAT Wilshite on 14 April along with 900 others. The following month he embarked for the Dardanelles from Egypt. They landed at Anzac as part of the second wave on 25 April. 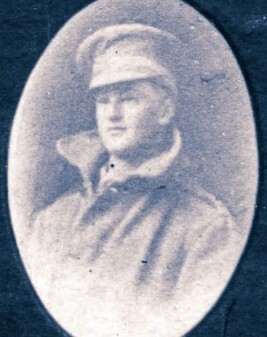 Shortly after landing Herbert with a strained back from a fall was also diagnosed with Myopia and was transferred to hospital subsequently transferred to Lemnos returning two months later to join his Battalion at Lone Pine. While fighting in this battle Herbert suffered shell shock and was admitted to hospital once again. While there he was diagnosed with Neurasthenia and a stigmatism resulting in him returning home on 2 March 1916. Two years after returning home Herbert married Elsie Robinson, they had five children. Herbert was working as a linesman at Torquay before moving to Auburn where Herbert worked as an electrical mechanic. They moved around the Melbourne suburbs over the years, Herbert died in 1981 at Clayton. After the war Gustave returned home to Agnes and their six children living in East Geelong and he continued his occupation as a labourer. They soon moved to Kilgour Street where they lived for many years before their final move closer to Geelong CBD in 1931. During the thirties there was a transition across the family to change the spelling of the name to Bench. Gustave’s birth and school registration surname spelling was ‘Baensch’. As a young man and on enlistment his spelling was ‘Bensch’. His children’s births were registered as ‘Bensch’. All the family deaths were registered as ‘Bench’. Gustave died at Geelong in 1946. Albert enlisted on 24 October 1916 while working as a labourer in Jan Juc. He was assigned to the 1st [Depot] Battalion at Royal Park. While training there he was transferred to the 8th Reinforcements, 58th Battalion. Albert embarked from Melbourne aboard the HMAT Medic on 16 December arriving at Plymouth on 18 February 1917. He was stationed at Hurdcott for further training before proceeding overseas to France on 14 May. Once in France he joined the 58th Battalion in the field at Biefvillers Camp. Later in the year the AIF’s focus of operation had switched to the Ypres sector in Belgium. The 58th’s major battle here was at Polygon Wood on 26 September. Albert was wounded during this battle and evacuated to hospital in England with a gunshot wound to the right shoulder and back. He was discharged in November and assigned to Depot’s in Hurdcott, Longbridge and Sutton Veny. The harsh English winter made it difficult to fight off chest infections and Albert was back in hospital during February 1918 eventually returning to Australia a couple of months later. 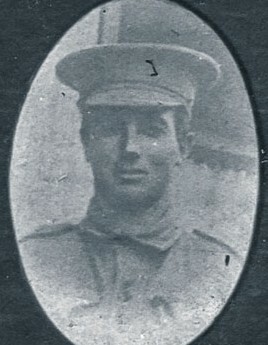 After the death of his brother John, Albert was living with his sister-in-law Olive at Dandenong with the occupation of foreman. He died in 1955 at Dandenong. Michael, a resident of Elaine via Ballarat, had spent about eight months with Mr. J. Charles becoming very popular before he enlisted. His brother lived in the area, his parents in Malvern. 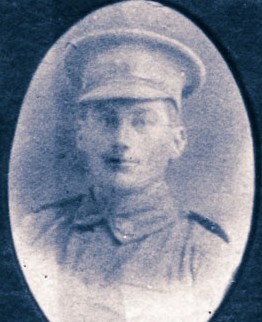 Michael enlisted on 18 January 1916 at Ballarat attached to the 1st Reinforcements of the 39th Battalion. Following a brief period of training in Ballarat, the 39th Battalion marched through Melbourne on 15 May as the city farewelled the unit and they subsequently embarked upon HMAT Ascanius on 27 May 1916, bound for the United Kingdom. Sailing via Cape Town, the battalion landed at Plymouth on 18 July 1916, and moved by train to Amesbury, before marching to Larkhill on Salisbury Plain. 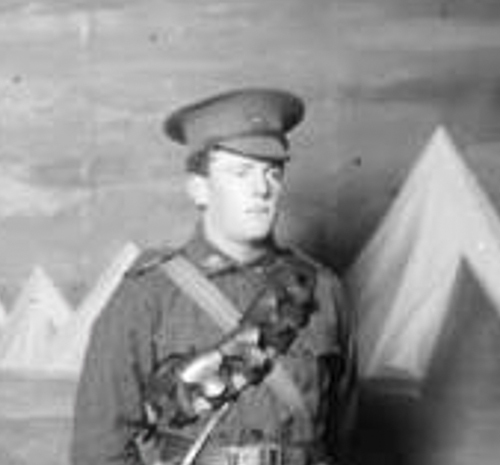 While undertaking the training the training here Michael was transferred to the 7th Battalion on 9 September proceeding overseas to France a week later. He caught up with his unit in the field on 29 September. The next day, the 7th Battalion, along with its sister battalion, the 8th Battalion, mounted a raid on the German line at Hollebeke with a force roughly equivalent to two platoons The raid was a great success, with the Australians overwhelming the defenders and capturing a section of the German line and killing up to 13 Germans, before withdrawing. In October, the battalion returned to the Gueudecourt, Somme where they spent the winter months training and manning trenches. On 16 December, work in the front trenches pushed ahead through mud 4 ft deep in some places. Gueudecourt was heavily shelled at intervals during the day and enemy artillery fire was active. Michael was one of two men killed on this day. On 13 July 1915, Charles, was the first of the three brothers to enlist. 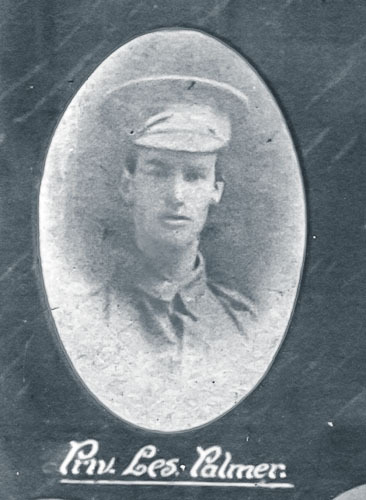 While at the Bendigo training camp Charles contracted meningitis and died on 10 September 1915. Charles joined the 60th Battalion at Tel el Kebir on 26 February 1916 transferring to the 58th Battalion two weeks later. They continued their training before arriving in France on 23 June. The 58th became embroiled in its first major battle on the Western Front at Fromelles on 19 July. The battle was a disaster. The 58th had the dual role of providing carrying parties and a reserve force. The reserve force (approximately half of the battalion) was ordered to attack late in the battle and was virtually annihilated by machine-gun fire; as a whole, the 58th suffered casualties equal to almost a third of its strength. 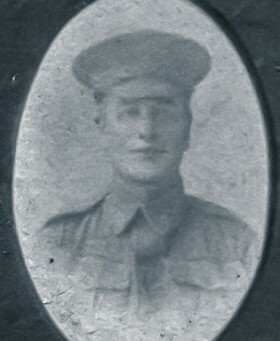 Charles was one of those killed on the 19 July 1916. James enlisted on 28 June 1915 to join 9th Reinforcements of the 5th Infantry Battalion embarking from Melbourne on 10 September 1915 aboard HMAT Star of Victoria arriving at Egypt 7 January 1916. Early in 1917 the unit spent much of its time around Vignacourt by October they had made their way up the Western Front to Reningelst in Belgium. At the start of the Third Battle of Ypres, James tended to wounded soldiers in the front line. On 26 October they were at Hooge Tunnel on the other side of Flanders Field, Ypres. During an extremely heavy barrage a shell landed near a group of 15 men about 250 yards away. The sergeant called to the bearers that some of the men were hit. James and 3 other men ran out of their dug out and helped the men back to the dugout. They carried the wounded to safety whilst under fire. For his actions that evening James was awarded the Military Medal on 20 November 1917. The following March he was promoted to Lance Corporal. After participating in a number of other battles James returned to England for a well earned break and by the time he returned back to France the war was over. On 28 March 1919 he left England for return to Australia per Hospital Transport ‘Karoa’ as part of the nursing staff. They reached Melbourne on 8 May 1919. Initially James returned to the family home in Geelong with his parents and brothers before marrying Rita Barwise in 1923. They moved to a farm at Nar-Nar-Goon and raised six children. When the Second World War broke out James was an unemployed farm hand living in Brunswick with the family. He once again enlisted in 1941 at the rank of Corporal and was discharged in 1947. He died nine months later. John enlisted with the 3rd Reinforcements to the 2nd Cyclist Battalion at the age of 19 years on 25 April 1916. After his initial training at Geelong John embarked at Melbourne on board HMAT Orsova on 1 August 1916 reaching England in September. He proceeded to the training battalion at Chiseldon Camp. The cyclists were mainly used as despatch riders, they were also invaluable for reconnaissance and communications work, being lighter, quieter, and logistically much easier to support than horses. After a year training with the Cyclist Battalion John was transferred to the 2nd Machine Gun Battalion for further training. All companies were equipped with Vickers medium machine-guns. On 12 October John proceeded overseas to France to join the battalion fighting in increasingly horrendous conditions around Ypres. In 1918 the battalion returned to the Somme valley and helped to stop the German spring offensive in March and April. The battalion subsequently participated in the Allies’ own offensive, launched to the east of Amiens on 8 August 1918. This advance by British and Empire troops was the greatest success in a single day on the Western Front, one that German General Erich Ludendorff described as “the black day of the German Army in this war”. Influenza overcame John and he was hospitalized in October then continuing to work at the base depots until he re-joined his unit on 22 January 1919. By this time guns had fallen silent and there was only the clean up to do. 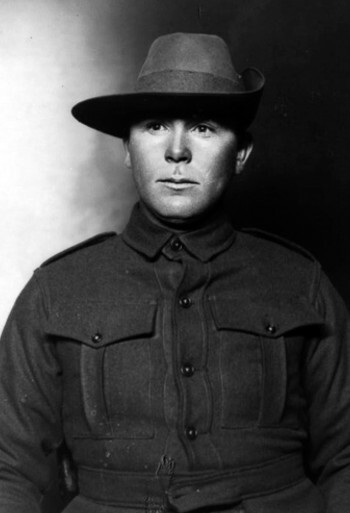 John arrived back in Australia on 12 December 1919. On returning from the war John lived with his parents and brothers in Geelong and worked as a labourer. He enlisted in World War Two and still continued to live at the same house until his death in 1969. Clement enlisted on 24 October 1916 for a second time after his first application had been rejected because of poor eye sight. He did his initial training at Royal Park assigned initially to the 59th Battalion then transferred to the 5th Infantry Battalion, 25th Reinforcements. On 19 February 1917 Clement embarked with his unit from Melbourne aboard the HMAT Ballarat arriving in England on 25 April 1917. He was assigned duties in the depots at Larkhill and Wymouth before returning home in September. He returned home to live with his parents in Geelong and working as a labourer. He continued to live in Geelong working as a labourer. Clement died in 1980. In March and April 1918, the battalion helped stop the German spring offensive. It subsequently participated in the great allied offensive of 1918, fighting near Amiens on 8 August 1918. This advance by British and empire troops was the greatest success in a single day on the Western Front, one that German General Erich Ludendorff described as “..the black day of the German Army in this war…. The battalion continued operations until late September 1918, George was transferred to the 4th Infantry Brigade until he was transferred home in March 1919 via England, arriving at Melbourne on 12 May 1919 for demobilisation and discharge. Tom, son of prominent Torquay Edward’s family – Joseph Edwards and Elizabeth (later Mrs Woolf owner of Melba House & St. Heliers), was living in New Zealand when the war broke out. 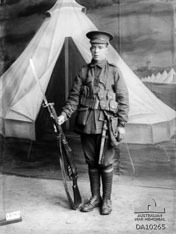 He enlisted in 1916 with the New Zealand Army Reserve, 1st Division. He married Gladys Dimant in 1919 and they shifted to West Perth. In 1925 Thomas was working as a supervisor. In the 1930’s they were living in Java where Thomas worked as the Manager at the Eastern Telephone Exchange. By 1943 they had returned to Victoria living in St. Kilda East, Thomas was a sub manager. After spending a few more years (1969-72) in New Zealand Thomas and Gladys retired to Torquay. Thomas died in 1975. Dishonourably discharged because of desertion after recovering in hospital from being gassed. After spending a couple of months in hospital in France and England because of the being exposed to Mustard Gas poisoning Donald went missing from the camp in England a couple of times at the end of 1918. Early in 1919 he did not return to camp, however it appears he did find his way back home to Australia. His wife Margaret died in 1919 and Donald continued to work as a carpenter and was living in the same pre-war house at Surry Hills in 1924. By 1931 he residence was England where he married Mary Sangster in 1939. Donald died at Surry North Western, Surrey, England in 1970 aged 81. After the war Colin returned home to Torquay where he worked as a labourer. He died at Torquay in 1955. In early 1917, the German Army withdrew to the Hindenburg Line, allowing the British front to be advanced. The Germans, however, made selected stands to delay this advance and the 28th Battalion was involved in defeating a counter-attack at Beaumetz on 23 March. The battalion subsequently missed the heavy fighting to breach the Hindenburg Line during the second battle of Bullecourt as the 8th Brigade was deployed to protect the Division’s flank. The only large battle in 1917 in which the 29th Battalion played a major role was Polygon Wood, fought in the Ypres sector in Belgium on 26 September. It was during this battle that Andrew was killed in action. Adding to the anxiety of Andrew’s family over loosing another son, his personal belongings were included in a consignment shipped from England per s.s. ‘Barunga’, which was lost at sea, with all cargo, as a result of enemy action. The 5th Battalion was among the first infantry units raised for the AIF during the First World War. Like the 6th, 7th and 8th Battalions it was recruited from Victoria and, together with these battalions, formed the 2nd Brigade. The battalion was raised within a fortnight of the declaration of war in August 1914. The 1st Reinforcements arrived in Egypt around the start of February 1915 and joined the first contingent of the battalion at the Australian camp at Mena, near the Pyramids. It later took part in the ANZAC landing on 25 April 1915, as part of the second wave. It was during this landing that William was killed in action. Currently there are no details. 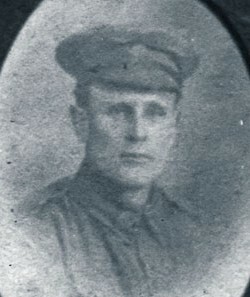 Charles Harold GOGOLL, born in 1895, Connewarre, son of Charles and Fanny Gogoll was working on the farm at Mt Duneed when he enlisted as a single man at Geelong on 13 July 1915. After some preparation and basic at Geelong with D Company he transferred to Broadmeadows for training with the 8th Reinforcements to 22nd Battalion. Shortly after he was transferred to the 9th Reinforcements. They embarked from Melbourne aboard the HMAT A69 Warilda on 8 February 1916 for Alexandria and then to Marseilles arriving 27 March 1916. The battalion initially were in reserve near Fleurbaix. The battalion’s first major action was at Poziers as part of the massive British offensive on the Somme. Charles was wounded in the head and evacuated to England for treatment. He returned back to the Somme where the battalion was enduring a particularly harsh winter. In 1917 during the bloody trench warfare from Bullecourt to Broodseinede in Flanders Charles was in and out of hospital suffering from influenza, impetigo and diarrhoea. He was also gassed and suffered a gunshot wound to his right foot. The battalion returned to the Somme valley in 1918 helping to stop the German Spring offensive. During August while helping to capture Mont St Quentin Charles was gassed again. He went on with his battalion to take part in the last action fought by the AIF on the Western Front, the battle of Montbrehain in October 1918. Charles was killed in action there, his body was never recovered. A memorial cross was erected on the site of the battle and later he was to be commemorated at the Australian National Memorial, Villers-Bretonneux, France and also at Mt Duneed Cemetery with his mother and father. 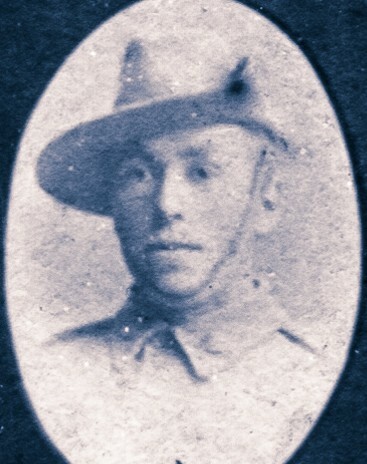 Nineteen year old Percy was one of the first from the Shire to enlist after volunteer recruiting begins in Australia enlisting on 24 August 2014. He was allocated to the 8th Infantry Battalion embarking from Melbourne on board HMAT Benalla on 19 October 1914. After a brief stop in Albany, Western Australia, the battalion proceeded to Egypt, arriving on 2 December. It later took part in the ANZAC landing on 25 April 1915, as part of the second wave. Ten days after the landing, the 2nd Brigade was transferred from ANZAC to Cape Helles to help in the attack on the village of Krithia. The attack captured little ground but cost the brigade almost a third of its strength. Percy was one of the casualties of this campaign, he was killed in action on 2 May 1915. 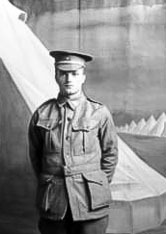 After the withdrawal from Gallipoli, the battalion returned to Egypt, Henry suffered dysentery causing him to be hospitalized a few times and he was going to be transported back to Australia. In March 1916, Henry was transferred to the 46th Battalion. As part of the 12th Brigade of the 4th Australian Division, the 46th Battalion arrived in France on 8 June 1916, destined for the Western Front. It participated in its first major battle at Pozieres. Initially, the battalion provided carrying parties for supplies and ammunition during the 2nd Division’s attack on 4 August, and then, with its own division, defended the ground that had been captured. The 46th endured two stints in the heavily contested trenches of Pozieres, as well as a period in reserve. After Pozieres, the battalion spent the period up until March 1917 alternating between duty in the trenches and training and rest behind the lines. On 11 April it took part in the attack mounted against the heavily defended village of Bullecourt – part of the formidable Hindenburg Line to which the Germans had retreated during February and March. Devoid of surprise, and dependent upon the support of unreliable tanks, the attack had little chance of success; after managing to fight through to it’s objectives, the 46th was forced to withdraw with heavy casualties. Later in the year, the focus of the AIF’s operations switched to the Ypres sector in Belgium where the 46th took part in the battles of Messines and Passchendaele. Winter had a big impact on Henry’s health, from December 1917 to April 1918 He suffered impetigo and trench fever spending much of this period in hospital. On 13 March 1918 his unit proceeded overseas to France, on arrival Leslie was attached to the 8th Field Artillery Brigade, 3rd Division. He was appointed to the rank of Driver in May. The Brigade took part in the Capture of Hamel on 4 Jul 1918 followed by the battles of Amiens, Albert, Mont St. Quentin and The Hindenburg Line. On 3 April 1919 the 7th and 8th Field Artillery Brigades were amalgamated. 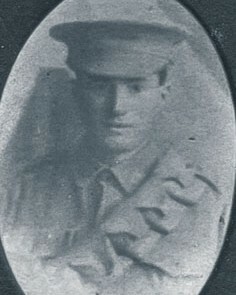 Thomas, from Torquay, a married man and father of five children enlisted on 1 July 1915 at Melbourne and was assigned to the 4th Reinforcements of the 13th Light Horse Regiment at the rank of Private. During training he was promoted to Corporal just prior to embarking overseas at Melbourne on board the HMAT Hororata on 27 September. They sailed for the Middle East arriving at Egypt early November and located to the training camp at Tel el Kebir. On 25 December 1915 Thomas was admitted to hospital with Meningitis, dangerously ill. The ensuing months he displayed symptoms of defective vision and contracted influenza before the meningitis remerged in April 1916. Thomas was invalided home on 11 May 1916 with spinal meningitis. Thomas returned home to Torquay and once he recovered from his illness he initially took up fishing as his new occupation. By 1924 Edith was living in Port Melbourne. 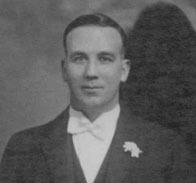 In 1937 Thomas was the caretaker of the Western Baths, Geelong. He died later that year aged 56. Bernard disembarked with the 59th Battalion at Tel el Kebir on 26 February 1916. He transferred to the 58th Battalion two weeks later. They continued their training before arriving in France on 23 June. The 58th became embroiled in its first major battle on the Western Front at Fromelles on 19 July. The battle was a disaster. The 58th had the dual role of providing carrying parties and a reserve force. The reserve force (approximately half of the battalion) was ordered to attack late in the battle and was virtually annihilated by machine-gun fire; as a whole, the 58th suffered casualties equal to almost a third of its strength. Bernard was posted missing from this battle on 19 July 1916. A Court of Enquiry, held in the field, 1 September 1917, pronounced his fate as ‘Killed in Action, 19 July 1916’. 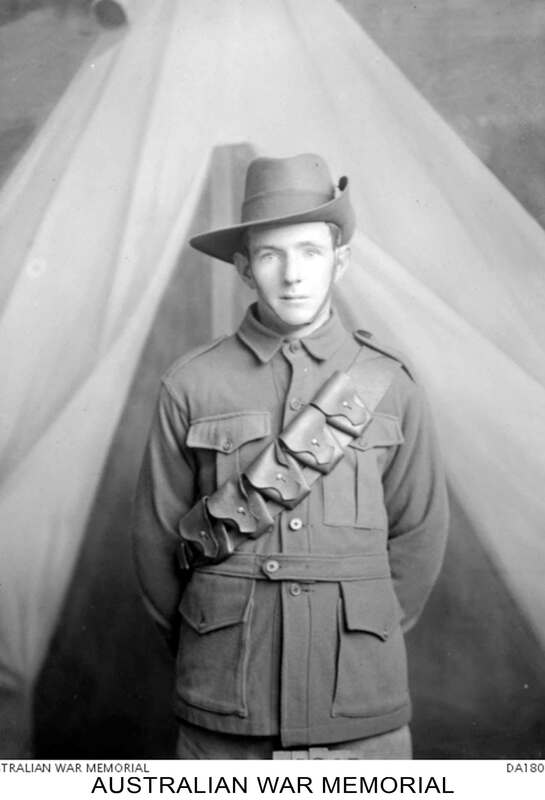 Walter enlisted for service in the AIF on 22 July 1915. He was posted to 19 Army Service Corps as a baker. He is not listed on the embarkation rolls but it can be assumed from his arrival in Egypt that he embarked from Sydney on 30 November 1915 in HMAT Suffolk disembarking in Alexandria in February. His service record indicates that Walter embarked from Alexandria on 17 March, arriving in Marseilles on 23 March. He was attached to the 2nd Field Bakery where he spent the remainder of the war. Walter left France for England on 17 March 1919 where he spent two months, before embarking for Australia aboard the ship Zealandia on 12 May. As full recovery was near George was transferred back to the 8th Light Horse Regiment on 22 February 1917 arriving in March at Egypt marching into the isolation camp at Moascar for a month. He subsequently attached to the 3rd Light Horse Training Regiment which was involved in a stint of protective duty along the line of communications through the Sinai. The unit was then involved in the abortive second battle of Gaza on 19 April. Gaza finally fell on 7 November, after a wide outflanking move via Beersheba, in which the 1st Light Horse Brigade played a part. George’s health started to fail again with further hospitalization for bronchial issues as winter closed in. He was transferred to the 8th Light Horse Regiment on 3 January 1918, then subsequently detached to cookery school in the March, returning month later. George succumbed to further attacks of diarrhoea and was infected with Malaria before returning to Australia on 7 August 1919. George had considered settling in British East Africa after war’s end but the Geelong Golf Club requested he return, having kept the job open for him during his absence, as did Barwon Heads. He married Edith Barnett in 1920, they were to have three children. George’s career flourished as he developed golf courses around Melbourne and regional Victoria. He held committee positions at the Long Island golf club at Frankston which he relinquished toward the end of 1938 having decided to move his family to a farm he had purchased at Lillico via Warragul. He continued to work as a golf professional holding the position at Warragul Golf Club for 22 years. He also continue to advise on the design of new golf courses. George provided a distinguished service to the game of golf as a professional, course builder and course designer. He died at Warragul in 1974. Thomas was working as an electrical engineer before he enlisted on 9 October 1915. He was a single man, 26 years old when he was assigned to the 4th Light Horse Regiment, 13th Reinforcement; proceeding overseas on board HMAT Runic on 20 January 1916. Thomas arrived in Egypt in February and underwent further training there at the Australian base at Tel el Kebir. The regiment spent 1916 engaged on rear area security tasks in the Suez Canal Zone. 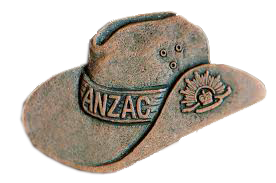 During this time Thomas was promoted to Lance Corporal and he was transferred to the 2nd Anzac Light Horse in July. Thomas was attached to the Commander, Royal Engineers at divisional headquarters in September. The 2nd Light Horse Regiment participated the Allied advance across the Sinai in November and was subsequently involved in the fighting to secure the Turkish outposts on the Palestine frontier – Maghdaba on 23 December 1916. Just after this battle Thomas contracted bronchial pneumonia and was invalided back to England on 28 December. It wasn’t until April 1917 that he was well enough to march into the command centre in London where he remained for the rest of the war. During his time at London he was charged with crimes of being AWL a couple of times in June and July. Then in 1918 from April until July he was granted leave without pay for family reasons. He was discharged in London at the end of July as medically unfit and with the intention of living in Edinburgh, Scotland. It appears he started to make his way home in August 1919 travelling from London to Hong Kong, China listed as his intended permanent address. 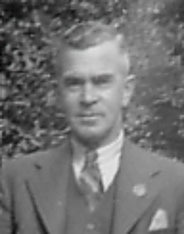 By 1931 Thomas is listed in the electoral roll as an engineer living at Dandenong with the family Schnaars. He married Clara Schnaars in 1935. They moved to Warrnambool where Thomas worked as a labourer before moving to Canterbury as an engineer. Thomas died at Caulfield in 1952. 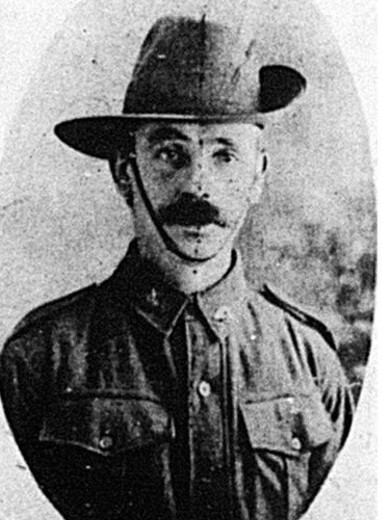 Stanley, a married man from Breakwater enlisted in the AIF on 3 March 1916 attached to the 29th Battalion, 8th Reinforcements. He completed his basic training at Geelong with the rank of Private. He left for overseas from Melbourne aboard the HMAT Orsova on 1 August 1916 arriving at Plymouth in September. The Battalion proceeded overseas to France in December. In early 1917, the German Army withdrew to the Hindenburg Line, allowing the British front to be advanced. The Germans, however, made selected stands to delay this advance and the 28th Battalion was involved in defeating a counter-attack at Beaumetz on 23 March. Stanley was charged with disobedience of orders on 24 July 1917 when he ate his emergency ration without authority and was awarded 2 days loss of pay. The only large battle in 1917 in which the 29th Battalion played a major role was Polygon Wood, fought in the Ypres sector in Belgium on 26 September. In January 1918 Stanley returned to England on leave and while there became ill spending the next five months in and out of hospital re-joining his unit in France in June. On 27 July while in the trenches at Le Treport he was wounded in action with a gunshot wound which fractured his right forearm and consequently Stanley was transported back to England for treatment. By the time he recovered the war was over. Stanley arrived back in Australia on 30 April 1919. He returned home to Kate living in Belmont and obtained work as a labourer. They had a daughter in 1922 and moved to Whittington shortly after. There were a couple more moves for the family – to Corio, Geelong West and Belmont as Stanley tried other occupations such as basil worker and wool worker. He died in 1966. 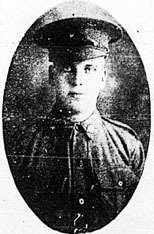 Frank enlisted on 18 January 1915 at Geelong. He left Australia on the HMAT Demosthenes as part of the 21st Reinforcements for the 21st Battalion on 22 July 1915 and disembarked in Suez. The unit quickly moved to proceed to Gallipoli. It was an eventful trip, the battalion’s transport was torpedoed near the island of Lemnos and had to be abandoned. 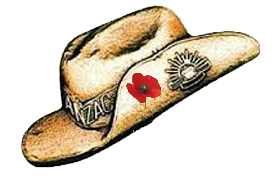 The battalion finally landed at ANZAC Cove on 7 September. It had a relatively quiet time at Gallipoli, as the last major Allied offensives had been defeated in August. After evacuation from Gallipoli in December 1915, Frank with the 21st Battalion arrived in France on 26 March 1916. In April, it was the first Australian battalion to commence active operations on the Western Front. During the battle of Pozieres it was engaged mainly on carrying duties, but suffered its heaviest casualties of the war during the fighting around Mouquet Farm. 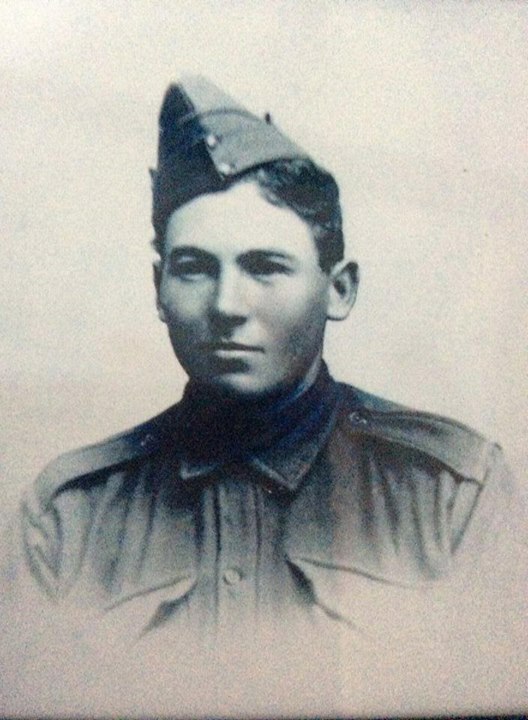 On 1 March 1917 Frank transferred to the 24th Battalion working as a cook for the unit. In May the battalion participated in the successful, but costly, second battle of Bullecourt. It was involved for only a single day ‘ 3 May ‘ but suffered almost 80 per cent casualties. The AIF’s focus for the rest of the year was the Ypres sector in Belgium, and the 24th’s major engagement was the seizure of Broodseinde Ridge. Like many AIF battalions, the 24th was very weak at the beginning of 1918, but still played its part in turning back the German offensive in April. When the Allies took to the offensive, the 24th fulfilled supporting roles during the battles of Hamel and Amiens. At Mont St Quentin, however, it played a major role by recapturing the main German strong point atop the summit on 1 September. The battalion’s last battles of the war were at Beaurevoir on 3 October and Montbrehain on 5 October. It left the front line for the last time on 6 October 1918 and Frank left France at the end of January 1919 marching into the 3rd Training Brigade at Hurdcott before embarking for Australia and disembarking on 22 May 1919. Once home, in August he applied to the AIF for free passage for his wife Margaret from Scotland to Australia. In 1924 Frank and Margaret were living in Belmont. They moved to Celebration, Hampton Plains near Kalgoorlie, Western Australia the following year living near his brother John and his wife Emma. Frank was working in the mines. After returning from his service abroad Jack’s whereabouts are more elusive than before the war. 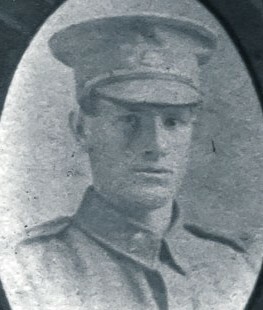 Norman enlisted at the start of the war on 12 September 1914 a week before his younger brother. He was assigned to the ‘A’ Squadron 8th Light Horse Regiment embarking from Melbourne aboard HMAT Star of Victoria on 25 February 1915. They arrive at Alexandria in Egypt on 14 March 1915. On 15 May 1915, the 8th Light Horse received orders to proceed to Gallipoli, and they embarked at Alexandria for Gallipoli on 16 May 1915 per H.M.T. Menominee. All of their horses were left behind at Heliopolis under the care of one officer and 30 men. The 8th Light Horse landed at Kota Tepe (on Gallipoli) on the night of 21 May 1915, and took up positions at Walker’s Top. The 8th formed the first two waves for the Brigade’s disastrous attack on the Nek on 7 August and suffered heavily. 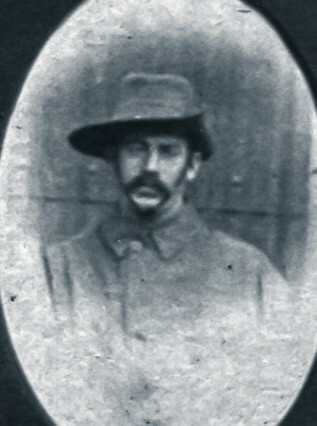 Norman was admitted to hospital with influenza on 11 August while the regiment played a defensive role in the campaign. They finally left the peninsula on 20 December 1915. Back in Egypt, the 8th took part in defending the Suez Canal from a Turkish drive across the Sinai Desert. The Turks were turned at Romani. Although it didn’t take part in the actual battle, the 8th Light Horse participated in the advance that followed the Turks’ retreat back across the desert. In September Norman was promoted to Lance Corporal. Later in the year the unit was involved in the fighting to secure the Turkish outpost of Maghdaba on 23 December, which was captured at bayonet point. The next Turkish stronghold to be encountered was Gaza in March and April 1917. Norman was hospitalized in August, returning to duty in November to be involved with the unit in the wide outflanking move via Beersheba that began on 31 October. With the fall of Gaza on 7 November 1917, the Turkish position in southern Palestine collapsed. The 8th participated in the pursuit that followed and led to the capture of Jerusalem in December. The focus of British operations then moved to the Jordan Valley. In early May 1918 the 8th was involved in the Es Salt raid. It was a tactical failure but did help to convince the Turks that the next offensive would be launched across the Jordan. Instead, the offensive was launched along the coast on 19 September 1918. The mounted forces penetrated deep into the Turkish rear areas severing roads, railways and communications links. The 8th Light Horse took part in the capture of Tiberius on 25 September and Sasa on 29 September. It entered Damascus on 1 October, and was resting in Homs when the Turks surrendered on 31 October. While waiting to embark for home, the regiment was called back to operational duty to quell the Egyptian revolt that erupted in March 1919; order was restored in little over a month. Norman sailed for home on 26July 1919. 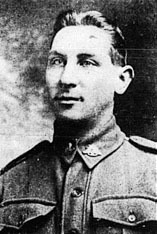 Austin McDonald, Connewarre farmer, enlisted in the AIF on 17 April 1916. He was posted as a member of the 8threinforcements for the 29th Battalion to train at Geelong. They embarked from Melbourne for England on 1 August 1916 on board HMAT Orsova. By the time the Orsova reached Plymouth in the September an old ulcer had reappeared on Austin’s shin causing him to go to hospital, he re-joined the unit a month later. On 5 December 1916 Austin proceeded overseas for the Western Front on board the SS Princess Victoria from Folkestone. After intensive training the 6th Battalion landed at Gallipoli as part of the 2nd wave on the 25th April 1915. While attempting to hold back the Turks John was reported on 8 May 1915 as being wounded, then reported as wounded and missing. He was pronounced killed in action by a Court of Enquiry held on 24 April 1916. In 1920 his body was found in a Turkish Cemetery at Pine Ridge, exhumed and re-interred in the Lone Pine Cemetery, Gallipoli. Elsie trained at Maryborough Hospital continuing to work there after her training. One of her roles was as a Sister in the surgical Ward. During 1910 – 11 she was the superintendent of night nurses at Ballarat Hospital and also was the Acting Matron Maldon Hospital for a while. When war broke out Elsie was living at Archie’s Creek (Wonthaggi) Victoria working as a nurse. She travelled to Perth enlisting on 21 November 1914 having previously served with 1st AGH. She embarked from Freemantle aboard the HMAT A55 Kyarra hospital ship on 14 December arriving a month later in Egypt attached to the No. 1 A.G.H. A year later Elsie was promoted to Sister. On 20 April 1916 Elsie reported at 1st A.G.H. Rouen for duty staying there until September 1917 when she proceeded back to England for duty attached as part of the nursing staff aboard HMAT A30 Borda returning to Australia. After returning to Australia, Elsie was attached to the 2nd A.A.H. On 14 October 1918 as part of the Sea Transport Staff once again Elise re-embarked from Sydney aboard SS Wyreema bound for Salonika, Greece. As a result of the cessation of hostilities the ship was recalled from Cape Town arriving back in Australia 21 December 1918. She was discharged from the A.A.N.S on 5 February 1919. After her return, Elsie continued nursing working at the No 11 A.G.H, Caulfield. Until 1925 when she travelled abroad. Elsie married Dr Ralph Noble at Katoomba, NSW in 1929 and they lived in the Wentworth district of NSW until about 1934. They moved overseas to England. Elsie died at Cambridge, U.K, on 8 October 1979. Alfred, a barman at the Mt. Colite Hotel Barwon Heads, enlisted at Melbourne on 27 April 1916. He was appointed to training at Seymour with the 2nd Reinforcements of the 10th Machine Gun Company and assigned to the 10th Infantry Brigade. The unit embarked from Melbourne on 16 August aboard HMAT Orontes arriving in England on 3 October and allocated to No 3 training camp Parkhouse. After intensive training it crossed to France on 18 November. The Division was commanded by Major General John Monash, who went on to command the entire Australian Corps and is still regarded as one of the finest military commanders of the World War I. In 1917, the Australian 3rd Division participated in a number of major battles in France and Belgium including Messines, Polygon Wood, Broodseinde and Passchendaele. Each company within the Battalion was equipped with 16 Vickers machine guns, giving the 3rd Machine Gun Battalion a total of 64. Each gun required a six to eight man crew – one to fire, one to load and the rest to help carry the gun, ammunition and spare parts. The Vickers machine gun was capable of firing up to 450 rounds per minute and had an effective range of around 4 kilometres! In February 1918, the 10th Machine Gun Company was absorbed into the 3rd Machine Gun Battalion which was attached to the Australian 3rd Division, saw action in Ypres in Belgium, in the Somme during the German’s spring offensive, and later that year, as part of the allies’ 100 day offensive around Amiens, France. 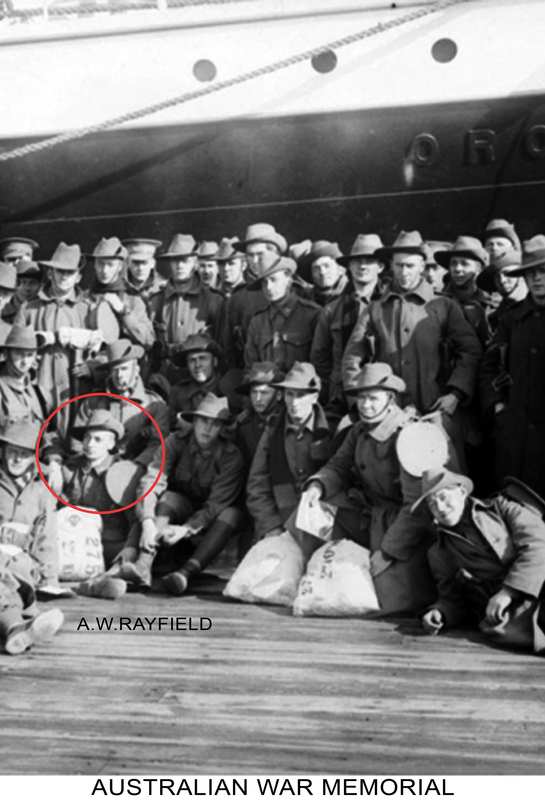 Private Alfred William Rayfield served continuously in France and Belgium (other than for short periods of leave) between November 1916 and May 1919. He returned to Australia per HT Berrima embarking on 6 September 1919 with his mother and father. They disembarked in Melbourne on 2 November 1919. Within weeks of returning to Australia he married Maude Daniels, they made their home in Caulfield with Alfred working as a storeman. In 1931 James Rayfield (father) was living with Alfred and Maude at Caulfield. Alfred died in 1935. 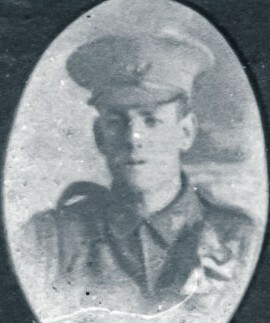 Harold was a labourer from Geelong, possibly working at Ballarat where he enlisted prior signing up on 21 January 1916. He was initially attached to the 19th Training Depot at Ballarat before transferring to Broadmeadows and the 29th Battalion, 6th Reinforcements. Harold embarked with the 6th Reinforcements from Melbourne on HMAT Euripides on 4 April 1916 disembarking Suez, 12 May before heading across to England in June spending time with the 8th Training Battalion. In September he joined the 29th Battalion in France and was wounded in action in November with a gunshot wound to the hand and knee consequently evacuated to England with those injuries and trench feet in December. Harold appeared not to be one to keep family and friends at home up to date about his health. From London in September Harold sent a letter home in response to an instruction from a superior officer. “I got rather a surprise today to receive word from you as to someone enquiring news of me. I have had late mail from Australia and my peole had received my letters up to date. As regards to how I am getting on: I left France last November 25 and at present stationed at the above address and enjoying the best of health. Thanks for the trouble you have taken to find me”. Following his recovery, he transferred to the 65th Battalion in England before rejoining the 29th Battalion overseas in October 1917. During 1918, the 29th fought in a minor attack at Morlancourt on 29 July, and then during the Allied Hundred Days Offensive that was launched on 8 August 1918, the battalion took part in the 8th Brigade’s advance up the treacherous Morcourt Valley, subsequently achieving a considerable feat by capturing the town of Vauvillers. Harold’s unit had reached their objective North of Harbonnieres and were holding position. The next day at 11:42 am the battalion moved forward to attack from the left of Harbonnieres under heavy machine gun fire. No other troops were moving on the right flank leaving the battalion open to heavy fire. Tanks that were supposed to support them had been put out of action early in the advance. There were heavy casualties being caused by machine guns firing from in and around Vauvillers. An order arrived to stay in position until it was possible to move without heavy casualties. The Coys marched by short rushes towards the objective and engaged the enemy machine guns with Lewis Gun and rifle fire. After a series of short rushes of crawling they achieved the objective, though one company had advanced through and beyond Vauvillers succeed to establish Lewis Gun Posts to cover the village. The new front line was established as a series of posts. The Commanding Officer noted in his diary that “Great bravery was exhibited by all ranks in advancing against extremely heavy enemy M.G. fire and ultimately silencing all opposition.” AWM 29th Battalion War Diary 9/8/18 On this day 3 officers and 14 other ranks were killed from the battalion. After the morning advance, Harold a stretcher bearer approached some men who were with some German Prisoners thinking there was a wounded man amongst them. 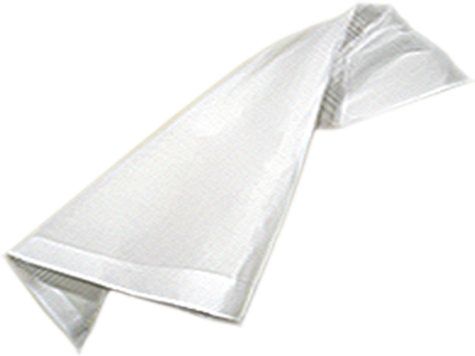 He was wounded at first by a pieced of shell in the arm and while he was being attended to another piece of shell hit him in the back and came out the front cutting a piece off his pay book which he had in his pocket. He and many of the prisoners died instantly. He was initially buried three-quarters of a mile North East of Harbonnieres, on the left of road to Rainecourt. A Chaplain officiated at his burial. He is now buried nearby at Heath Cemetery, Harbonnieres, France. George re-joined his unit on 5 January 1918 from hospital. Influenza in April had sent him to hospital again and while there he developed impetigo. He was discharged in July re-joining the 58th Battalion in the field. George was sent to hospital on 2 September with NYDN. In 1917, the term shell-shock was no longer allowed. Men were classified as Not Yet Diagnosed Nervous (NYDN). The men called it Not Yet Dead Nearly. A week later the diagnosis was concussion! After a month in hospital George returned to his unit only to be readmitted to hospital with influenza and again re-joining his unit in January 1919. When Robert returned to his battalion in August 1918, the 24th was preparing for the battle at Mont St Quentin where it played a major role by recapturing the main German strong point atop the summit on 1 September. The battalion’s last battles of the war were at Beaurevoir on 3 October and Montbrehain on 5 October. 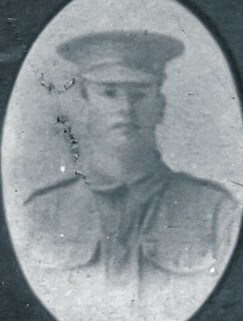 It left the front line for the last time on 6 October 1918 and Robert returned to Australia in April 1919 and to the farm at Connewarre. The following year Robert and Ivy’s son Harold was born in 1920, he died the same year. Sadly Ivy died in 1927 and Robert married Lillie Tink in 1930. In 1936 Robert was a farmer, living with Lillie at the Soldier Settlement, Bookar in the Camperdown area. He continued living in Camperdown until his death in March 1972. He marched out of France for return to Australia in March 1919 as the battalion merged with the 59th Battalion. He sailed from England on 15 May 1919 aboard the Orontes, disembarking at Melbourne 29 June. Once home Alexander returned to living at Connewarre and farming. He died in 1972. 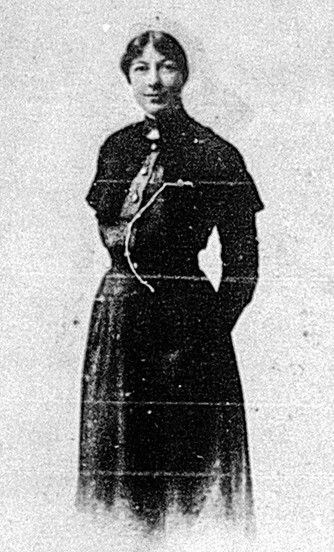 Nurse Pearl Spriggins trained at Colac Hospital and was Charge Sister of the Adelaide Government Hospital from which she resigned to go to the war following in the footsteps of her brother Quarter-master Sergt. Alf Spriggins who was serving overseas. Another brother, Sergt. 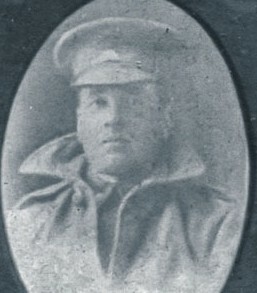 Charles Spriggins enlisted in 1917. Pearl first enlisted in May 1915 and embarked from Melbourne aboard HMAT Wandilla on 15 June 1915 with reinforcements for the Ras el Tin, 2nd Convalescent Depot, Alexandria, Egypt. She completed enlistment papers again at Heliopolis, Egypt on 23 March 1916 and continued to work there until June when she was transferred to 14th General Hospital located at Abbassia, Cairo. The following month Pearl was sent on special duty to the Cawnpore Military Hospital in Bombay where she was stationed until 15 January 1917. From Bombay Pearl embarked to England where she was assigned to different hospitals before proceeding overseas to France on 22 August 1917. While in France Pearl was promoted to the rank of Sister on 1 October 1918. In March the following year she was returned to London for six weeks which included transport duty in the English Channel before her role became V.O. Matron aboard HMHS China on the route back to Australia. They disembarked at Melbourne on 6 June, 1919 subsequently Pearl was discharged on 26 September 1919. Once back home Pearl leased, operated and was matron at the Somerton Private Hospital in Skene Street, Newtown. In December 1921 when the property was put up for auction as part of a deceased estate, Pearl was the successful bidder. She continued as matron for another 2 years before moving to Sandringham and continued nursing. Pearl moved to Mosman, NSW in the early 1950’s still recording her occupation as a nurse. She died on 11 July 1954 at Mosman. Alice embarked from Sydney aboard the HMAT A35 Ulysses on 9 May 1917 arriving at Plymouth six weeks later and reported to Headquarters in London. She was initially attached to the Croydon War Hospital then was attached to hospitals at Weymouth and Southall before leaving overseas for France on 17 August 1918. Alice served at Rouen for 4 months before returning to England posted to Sutton Veny. During March 1919 Alice was stricken with influenza returning to duty on 31 March. She was promoted to Sister on 9 June 1919 prior to embarking for return to Australia on 4 July 1919. Her appointment with the AIF AANS was terminated on 24 October 1919. She was still working as a nurse in 1954. Alice died on June 9, 1956 at her residence in Caulfield. Thank you for this tribute…through this honor roll I’ve found 1st cousins from 3 generations ago in my family… that had fought and paid the ultimate sacrifice…I now have photos and information I can add for future generations. So glad the site was of assistance for your family research.